The Personalised Heart and Birthstone Necklace is a beautiful modern silver or rose gold pendant necklace with a birthstone of your choice. 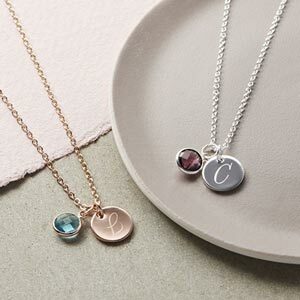 The Personalised Heart and Birthstone Necklace features a silver or rose gold plated trace chain with a stylish heart pendant.and birthstone of your choice. 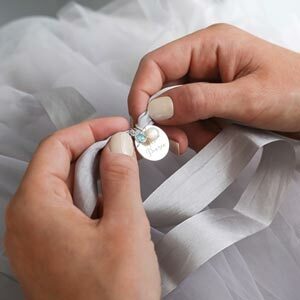 The charm can be personalised with a letter of your choice. Each necklace is hand hammered to order in the studio, making a truly unique item. I bought this for my special friend and she loved it.